Ok, I am starting to think there is a serious connection between wedding Wednesday and rain. I seem to be writing these weekly while staying dry and cozy inside. I’m about to re-name these posts Wet Wedding Wednesday! We have two fall weddings this weekend so our studio is filled with moody colors, fall leaves and so much amazing pampas grass. 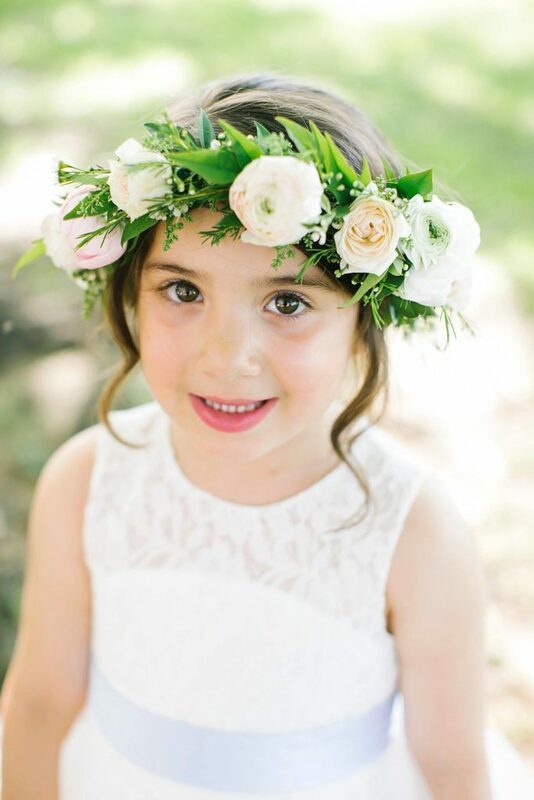 But today’s Wedding Wednesday is the the epitome of a Spring wedding- white flowers, sunshine and the sweetest flower girls you ever did see! Meet, Suzanne and Tyler and get ready to fall in love! 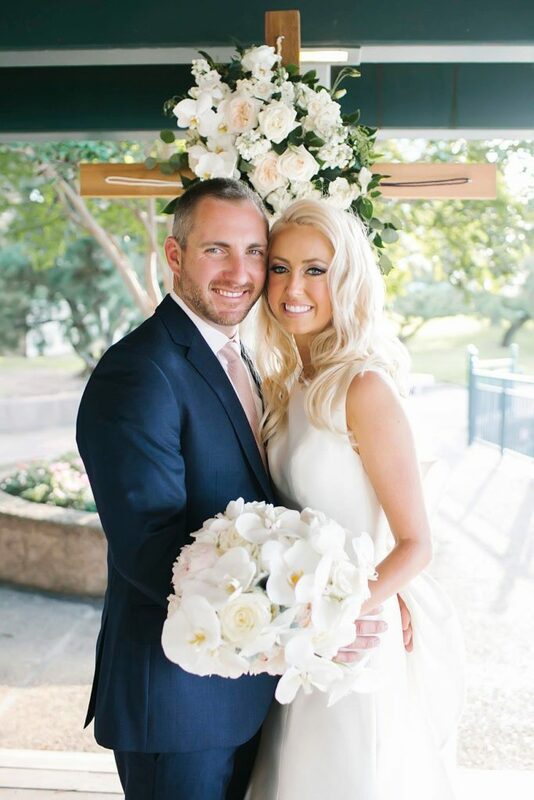 Goodness, we can’t say enough sweet things about this darling couple. 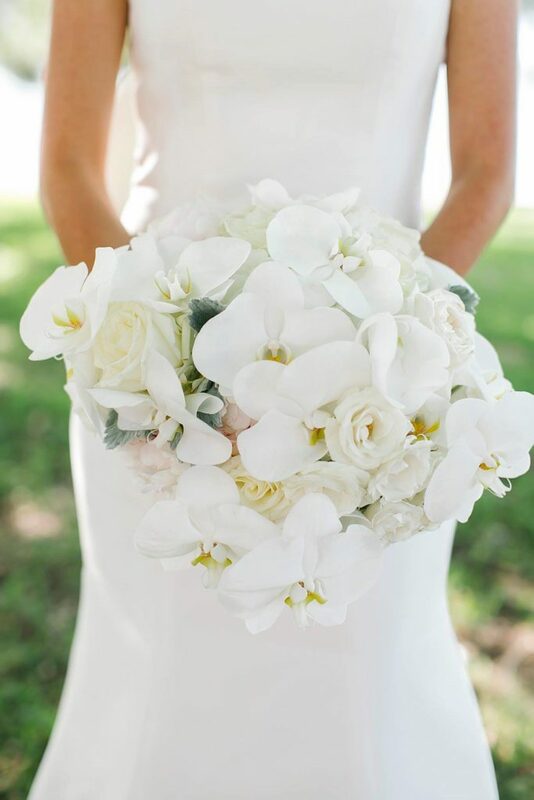 Suzanne was a bridesmaid in a previous wedding we did with 316 Design Source last summer at the Dallas Arboretum and it was such an honor when she wanted us to do her flowers the following spring. 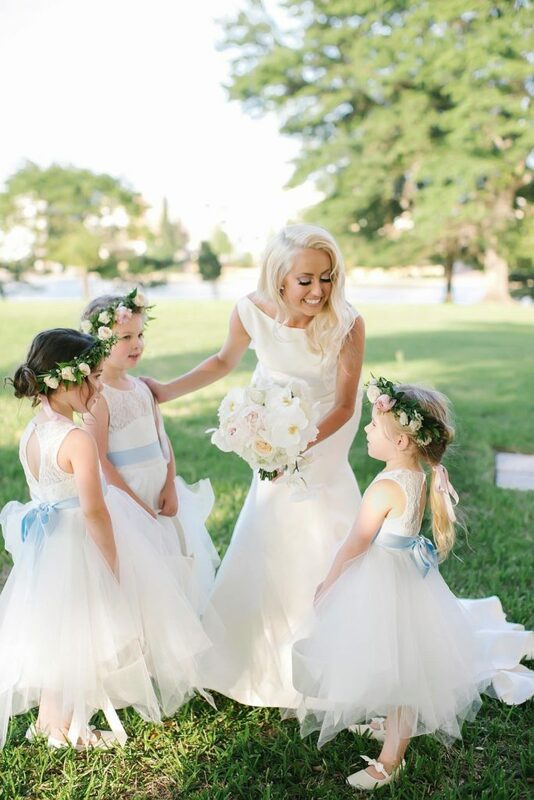 We seriously love when our bridesmaids become our brides! 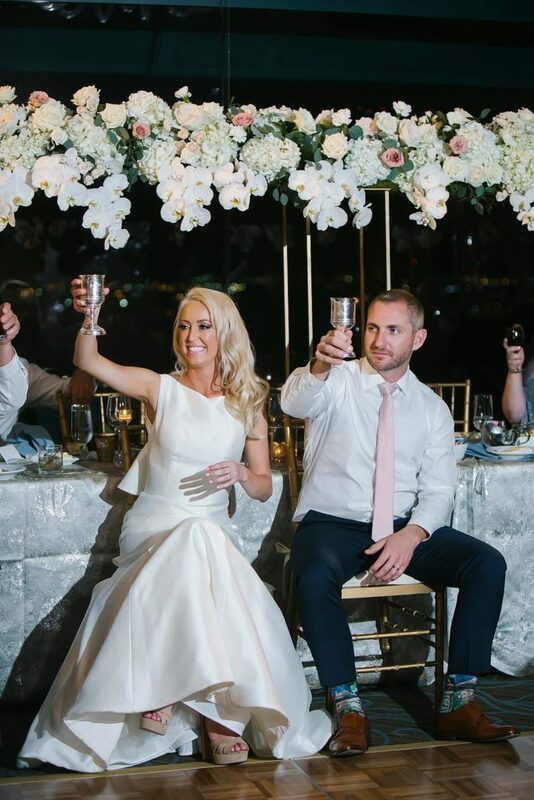 Suzanne +Tyler currently live in sunny California but wanted to have a Texas wedding where the majority of the bride’s family lives. 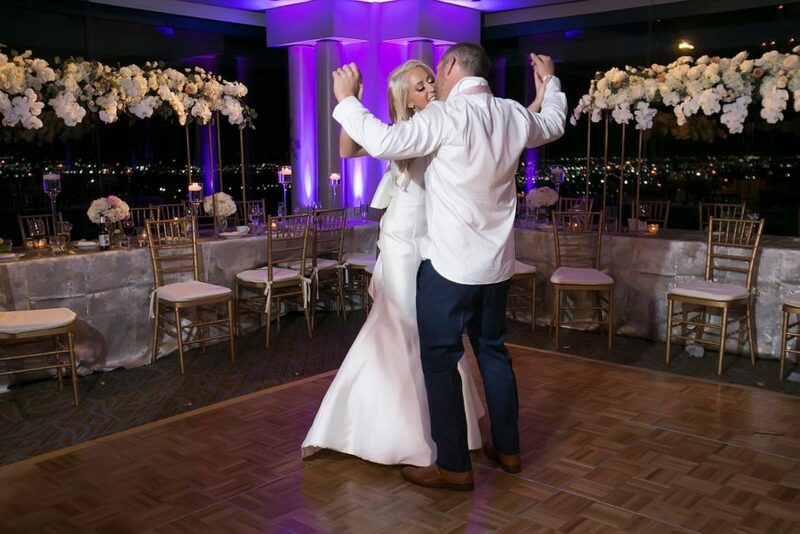 They decided on the beautiful La Cima Club for a classic modern style wedding with incredible views-sure to impress all! 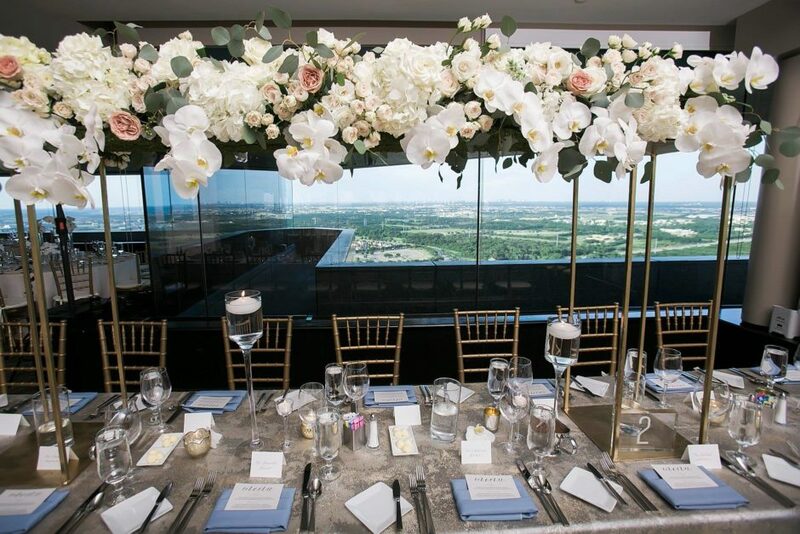 La Cima offered the perfect backdrop to host a Texas wedding with nods to their California home. 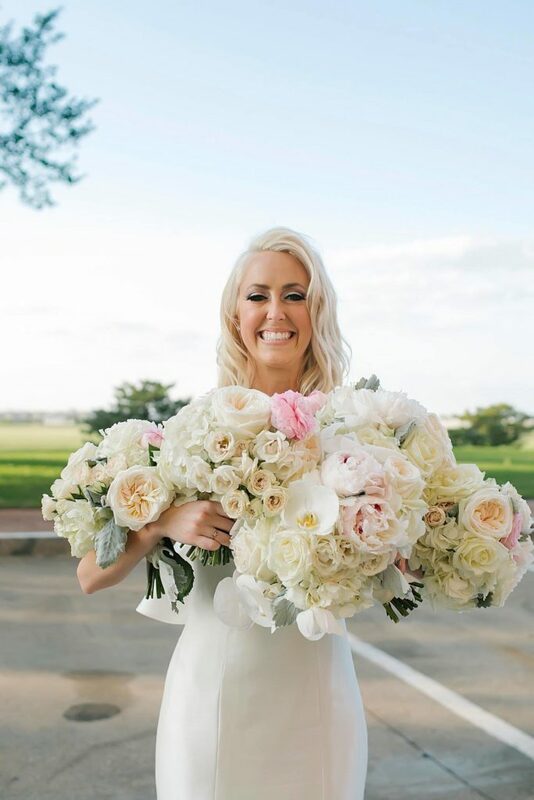 The icy blue, grey and pink color palette was seriously dreamy! 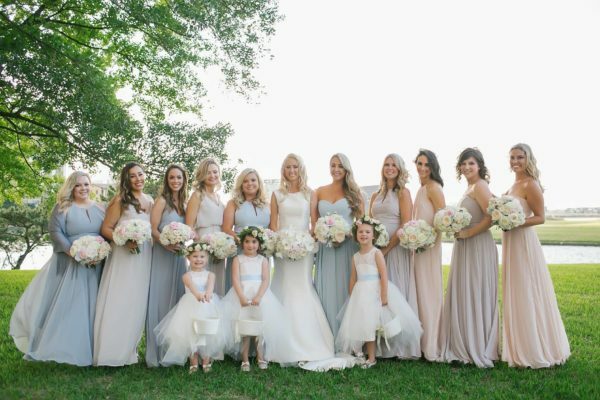 We love the mix of bridesmaids colors and don’t even get me started on that icy blue! (Stay tuned to the blog in the next few days when we really dive into our icy blue love affair). 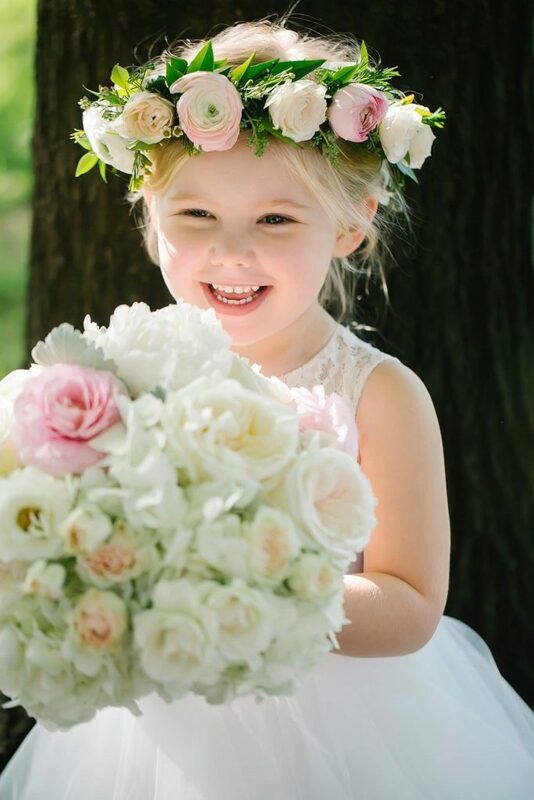 Excuse me while we obsess over these little cherub flower girls-there is nothing cuter than kiddos in floral crowns! 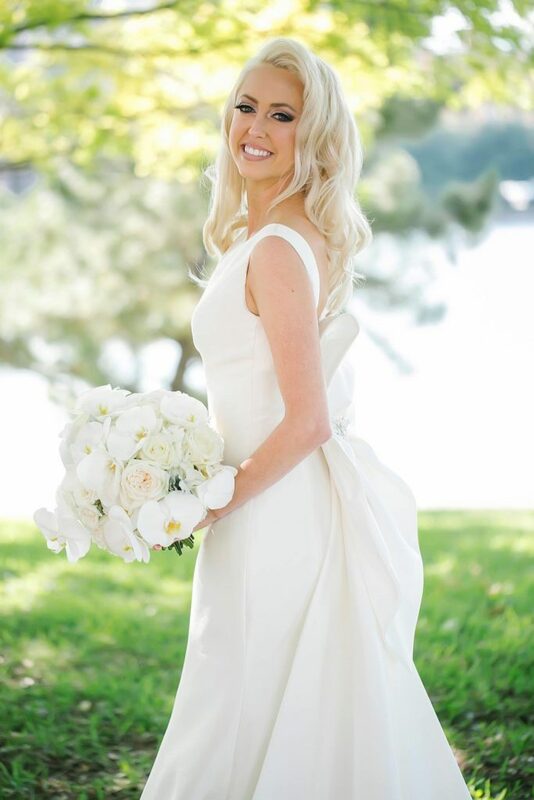 Also, how gorg is our bride in her stunning dress with THAT BOW! Love a major dress detail! Ok, can we please talk about that head table? 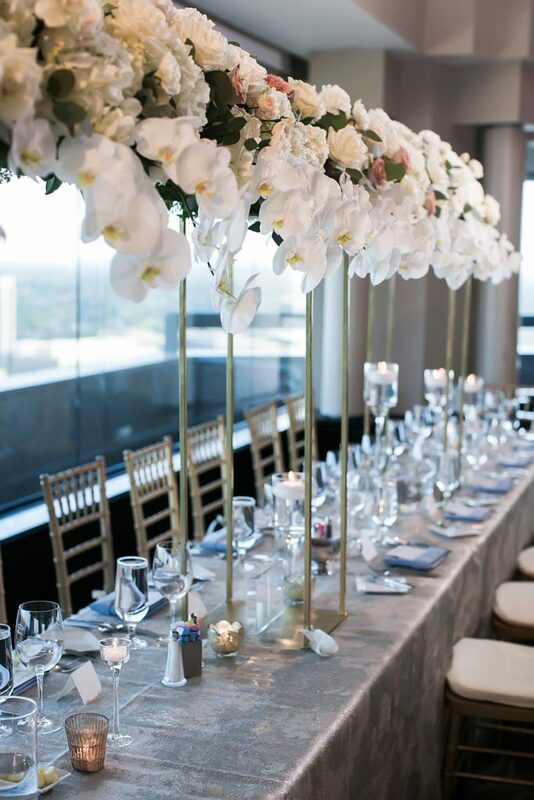 We are obsessed with the overhead piece with cascading orchids. 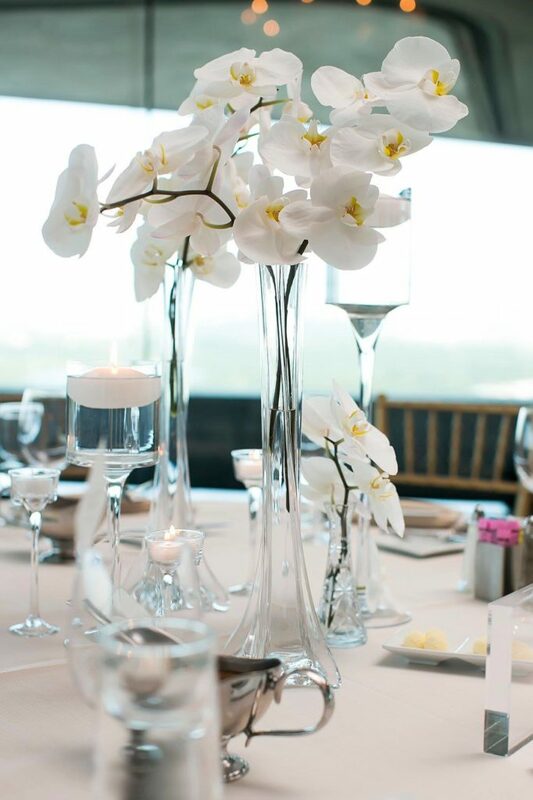 Here’s a little wedding day hack- if you want to save money on centerpieces, use smaller arrangements and lots of candles throughout and then splurge on a massive head table that your guests will be talking about for years! Yet again, we had the pleasure of not only working with a dream couple but they hired such a badass vendor team! We love working with 316 Design Source-serious powerhouse over there! 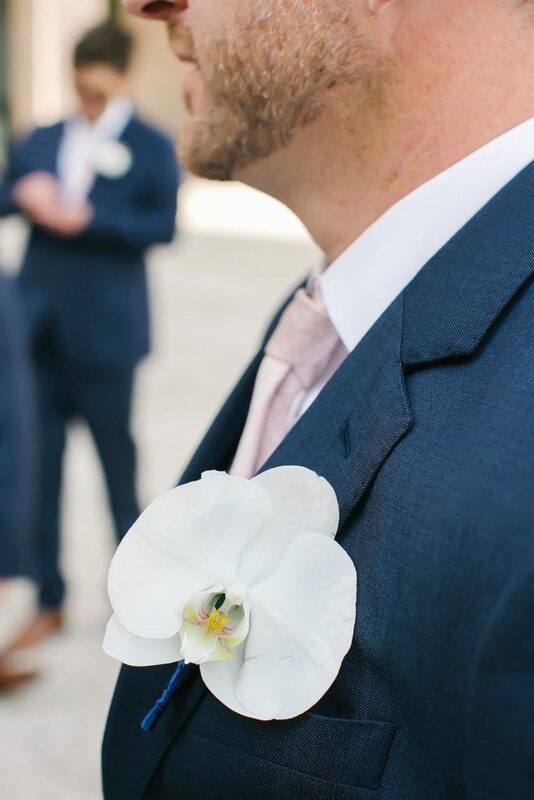 Thanks for enjoying this wedding with us!